Bred by Stonewall Stud, Winters, California. Campaigned by Marsoe LaRose and Simon Rosenman, British Columbia, Canada. At this writing, January 2017, I will soon turn sixty-five and have been reflecting on my career in the horse business that began when I was twelve years old. I have been thinking about a woman whose career has many parallels to mine. I have come to realize that her life’s work has made an important contribution to the Stonewall Studbook. Myrtle G. Brown, from Arbuckle, California was born in 1898 and died in 1993 at 94 years of age. She began breeding spotted horses at the age of thirteen and her passion for Appaloosas continued throughout her life. She was very particular about breeding useful horses that were sound, good looking and easy to train. If a horse was not good at something, it held no value for Myrtle Brown. 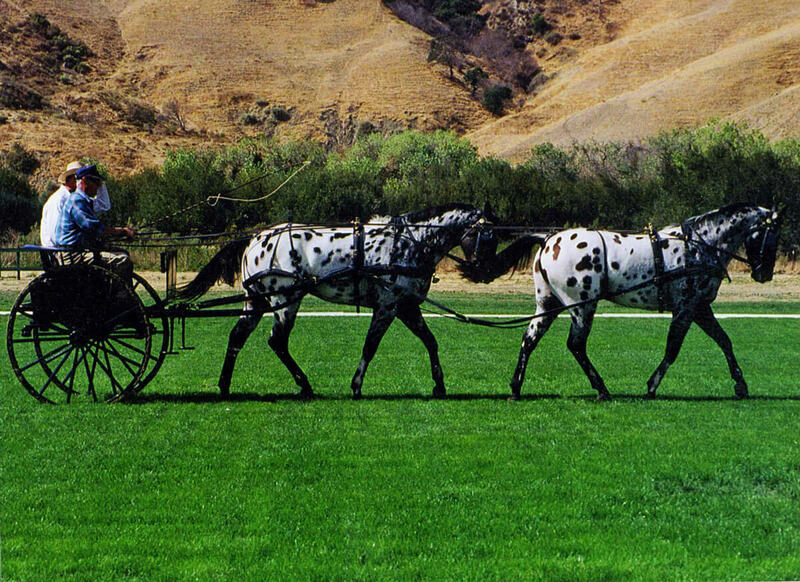 I became aware of Myrtle and her Appaloosa horses very early in my career. She was well remembered for being a long time breeder, for decades before the Appaloosa Registry was even formed. As my career was taking off, her old time horses were falling out of fashion, for all the wrong reasons. In 1969, the Quarter Horse stallion Impressive was foaled. He was named the 1974 World Champion Stallion and took the horse world by storm. He became a huge influence as a breeding horse and had a profound effect on three breeds of horses; the American Quarter Horse, the American Paint Horse and the Appaloosa. Impressive sired hundreds of offspring. His grand-get numbered in the many thousands. The Impressive horses were noted for their spectacular, defined musculature. The stallion and his progeny set the standard that was to rule the show ring for many years. Their striking looks carried a dark secret. The exceptional muscle development of these horses was due to a genetic abnormality. This defect was the cause of the disease HYPP. Hyperkalemic Periodic Paralysis Disease (HYPP) is a muscular disease caused by this inherited genetic mutation. The discovery of this disease, by my veterinarian Dr. Sharon Spier, came too late and at a terrible cost. Many thousands of Quarter Horses, Paints and Appaloosas carried this genetic mutation, descended from a single horse, Impressive. This genetic knowledge came at a time when I was evaluating my own breeding practices. I became more committed to the fundamentals of breeding a good, useful horse, free from the whims of fashion. It was around this time that I acquired the stallion Charlie Degas and was looking for mares to breed to him. I thought of my neighbor to the north, Myrtle Brown. I traveled to Arbuckle in 1990. Myrtle was 91 at the time and ailing. Her younger sister was looking after the horses, nearly two dozen in all. Myrtle had leased the good stallion, Heza Dart, and all but one of her mares had a colorful foal at foot. I realized that Myrtle’s sister was over her head caring for these good horses with her sister confined to a convalescent home. I visited many times and helped to find homes for several of the horses. Some of the mares came home with me, to be bred to Charlie Degas and my young leopard stallion Stonewall Magic. One of these mares, Quinta’s Flyin’ Imp, produced Stonewall Dragonfly who became an international champion in combined driving in the hands of renowned horsemen Simon Rosenman and Marsoe LaRose of Canada. Much of the quality and performance ability of Stonewall Dragonfly must be attributed to the sound genetic base provided by the decades of careful breeding of Myrtle G. Brown.